Shot for Vogue by Duffy in July 1961 on the steps of the Loggia Della Signoria. Marie Lise Gres poses between one of the Medici Lions and Benvenuto Cellini’s “Perseus with the Head of Medusa.” The feature was published in Vogue for the “Italy – Fashion with brio” article in September 1961. 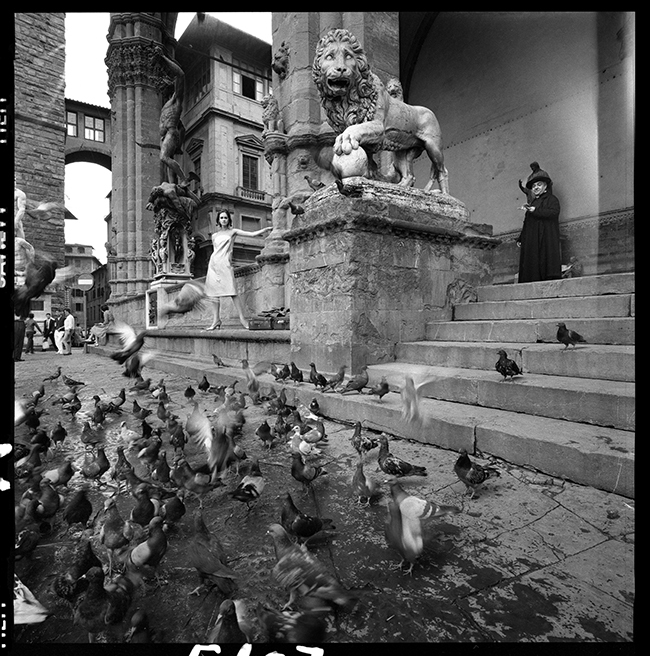 The Image used was heavily cropped to focus on the Emilio Pucci dress but the full frame reveals the flock of birds in the foreground with the stunning architecture surrounding the model. Quote ref: E_768_06 if you require press information regarding this image.